In nearly every museum we’ve visited the staff and curation team do a great job of providing activities for kids. Maybe its limited to a coloring area in an otherwise staid art museum or a scavenger hunt for 18th century candlesticks complete with entertaining stories of their former owner. But what if you have a budding engineer or future crew chief of the demolition team? Check out these out of the box museums to teach kids 1)how its made, 2)how to recycle a city and 3) how to make a really fun exhibit out of a famous example of creeping government inefficiency and cost overruns. 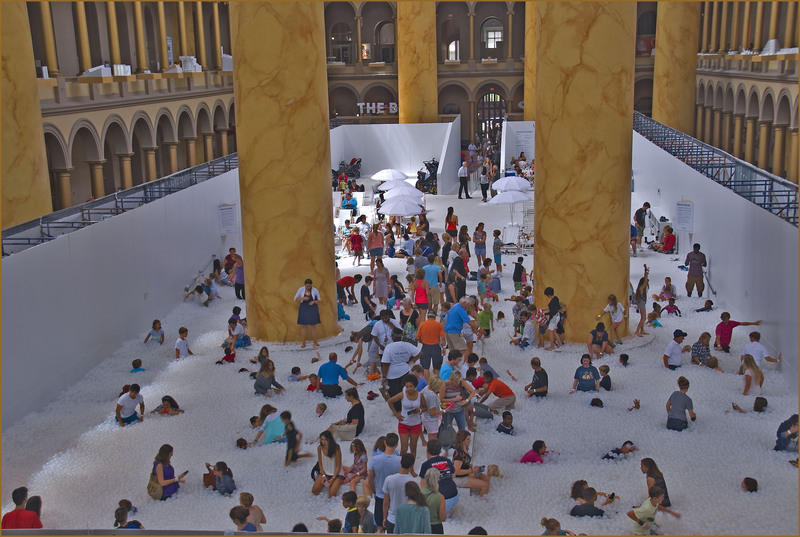 Maybe you heard about the National Building Museum’s summer exhibit “The Beach” which ended in early September. Incredibly, the NBM created a beach in the heart of DC’s museum district complete with ocean (basically the world’s largest ball pit) and snack bar. 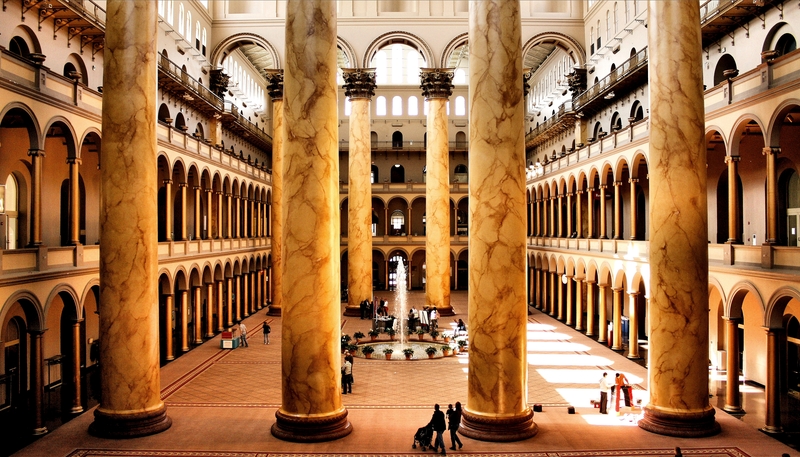 Built in 1887 as the Pension Building and designed to provide support to Civil War veterans, the National Building Museum is a grand and I think a sort of secret space. After living in D.C. for years, we just recently visited. Even though the Beach has ended and fall has (almost) begun, don’t wait until next summer to stop in. In the Building Zone, kids learn about what this place is all about architecture, planning and construction. As a former government lawyer they had me at planning, be still my nerd heart. The museum also offers guided activities to engage in with your child- like flashlight eye spy. If you drove to D.C. you might by eye spyed out, but otherwise its an incredibly fun activity in such an expansive space. So. Cool. Sorry that’s all I need to describe it. First of all- this “museum” is housed in the former building of the International Shoe Company, which arguably are the three words that can bring any lawyer back to their first year of law school. I spent an exceptional amount of time looking for a gif to translate that last sentence but shockingly no one has made one. *Note to self, finish writing post about awesome museum, make law school gifs. * Moving on. 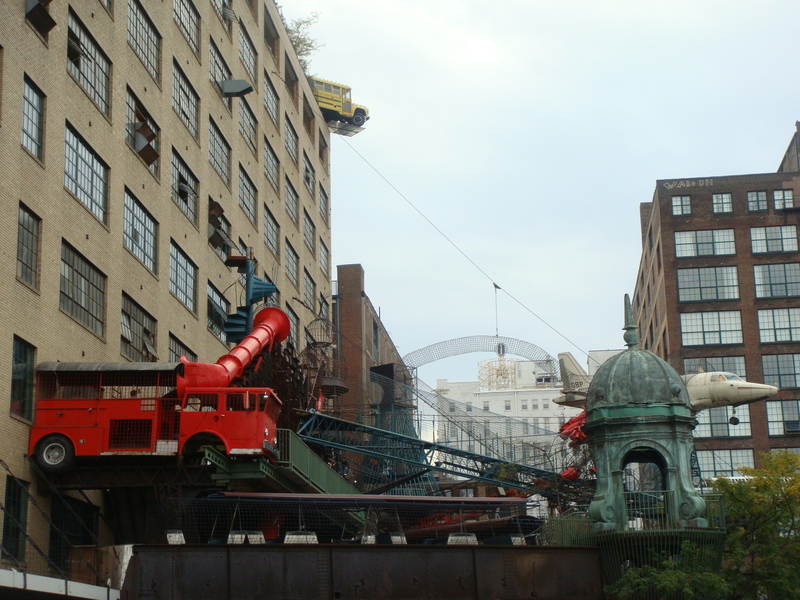 The City museum is made from found objects and is always growing and building. Check out the website here . 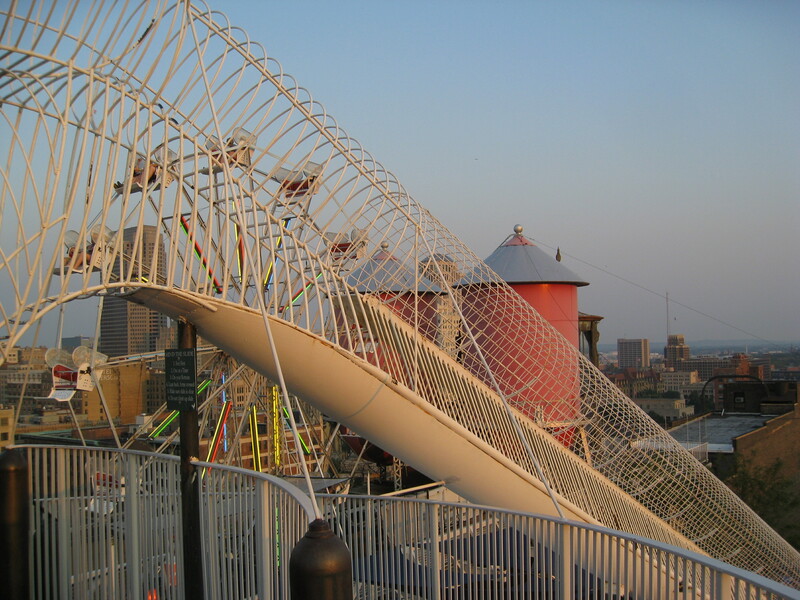 Like an amazing, sharp looking playground kids can explore and engage. Make sure to wear running shoes or something comfortable for climbing with a closed toe. 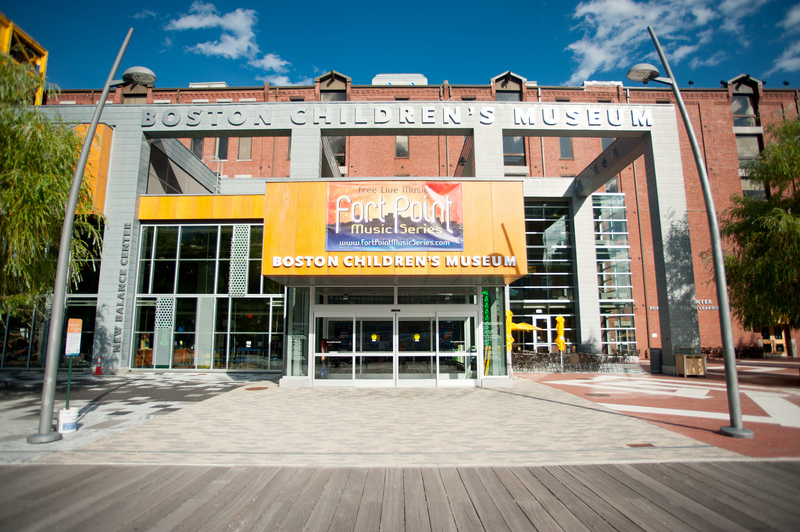 Certainly among the best children’s museum’s in the country, Boston gets featured today for its Big Dig exhibit. The Construction Zone replicates Boston’s Big Dig- allegedly the largest infrastructure project in U.S. history. Kids can jackhammer, walk on high beams and generally build and demolish to their hearts content. 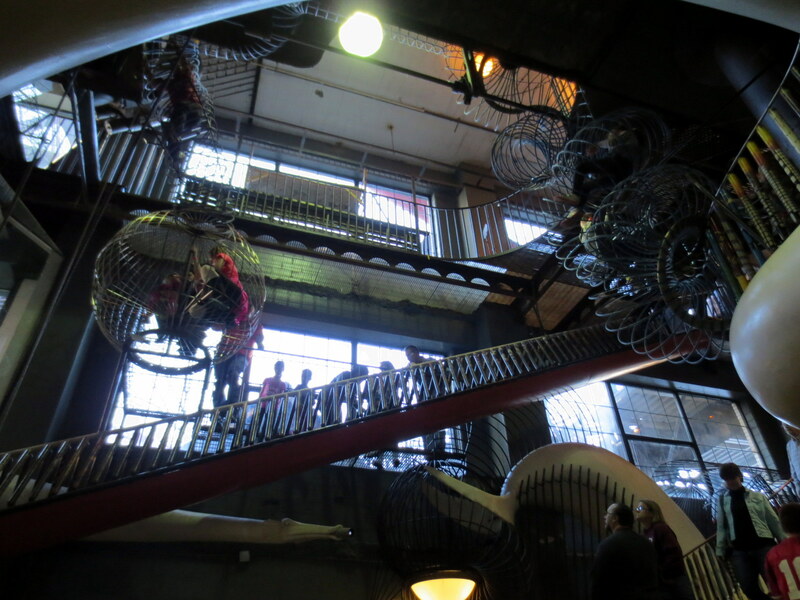 In addition to this permanent exhibit, the museum features a three story climbing structure and a 100 year old house from Kyoto Japan where kids can play house in turn of the (19th) century style.